Wake Up! 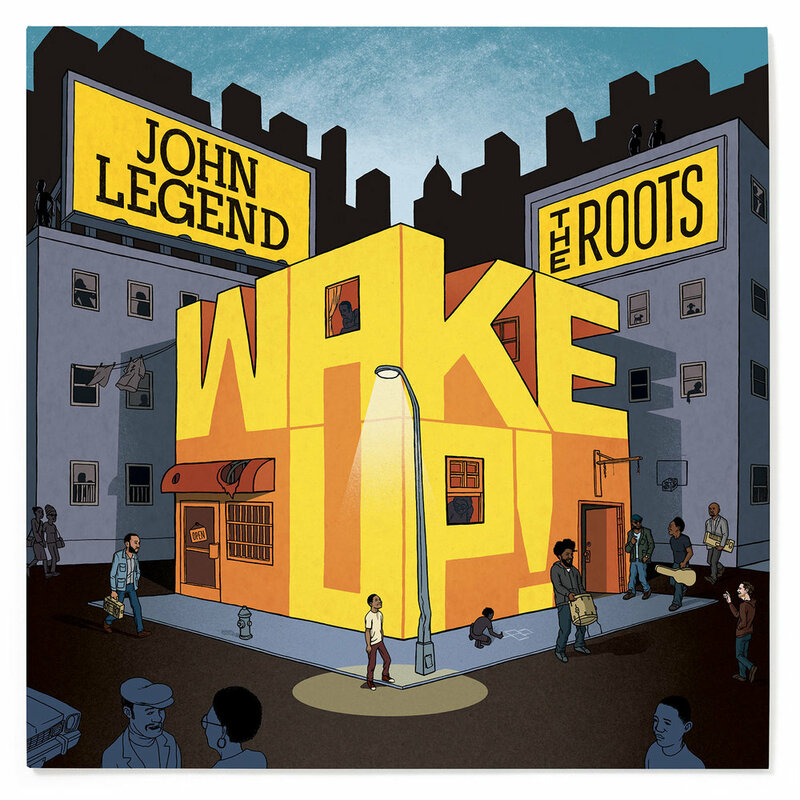 is a collection of classic soul and R&B songs covered by John Legend and The Roots. Our cover illustration incorporates the musicians and title text into a city scene that evokes the mood and time period of the original songs. 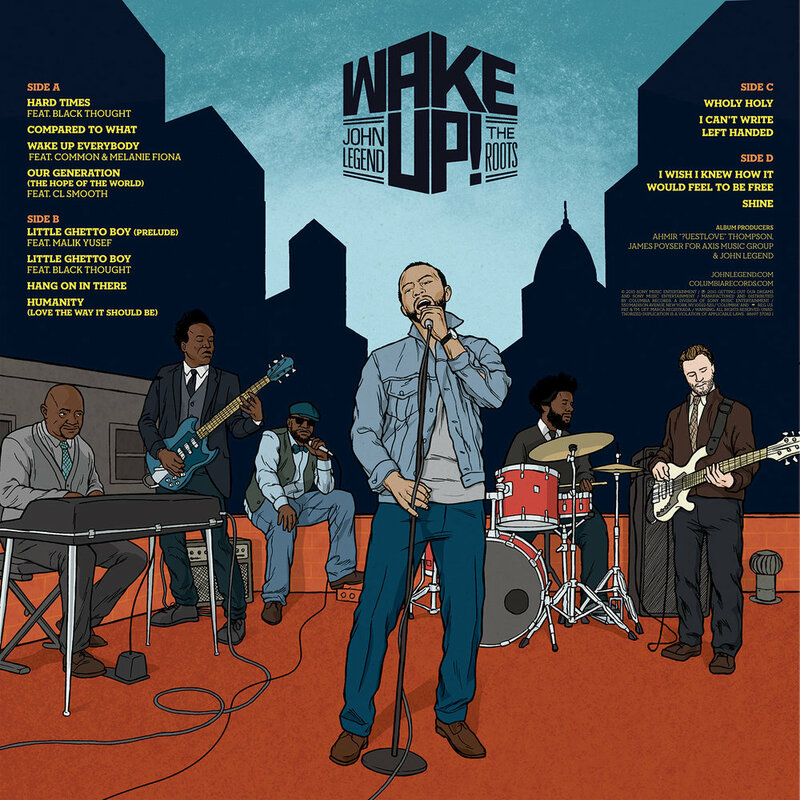 The back cover depicts the band performing on a rooftop. 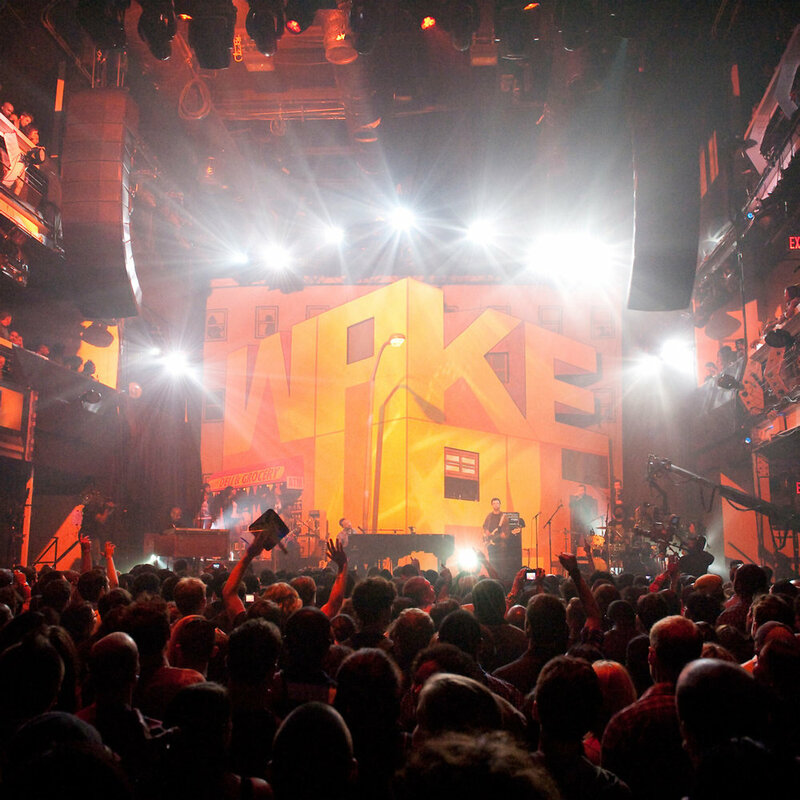 Spike Lee turned our album artwork into a life-size stage set for a special performance and concert video in New York.